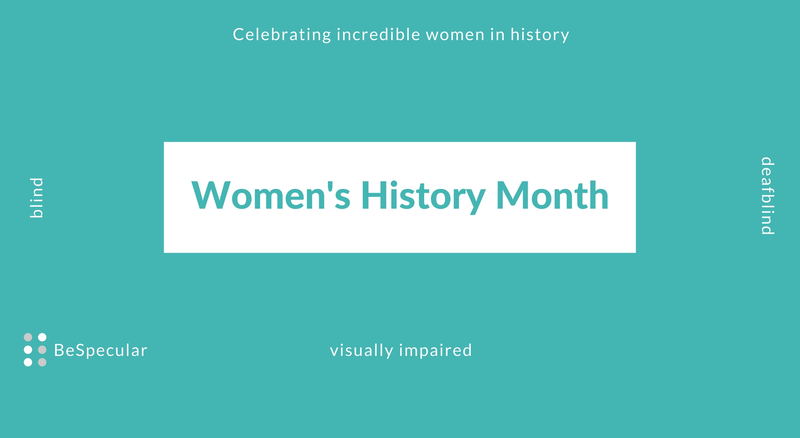 Helen Keller is one of the most recognised names around the world when it comes to the topic of deafblindness. Born able to see and hear, it was only when Keller was 19 months old that an illness left her both deaf and blind. During her early years of childhood, Keller learned signs in the home to communicate with her family. In 1887 Keller’s life changed forever when she met Anne Sullivan who would later become one of her greatest teachers and her lifelong companion. Sullivan began by teaching Keller how to spell words into her hand. The first word Keller learnt was “d-o-l-l” for the doll Sullivan had brought her as a gift. Keller’s life was filled with public and personal achievements as she blazed a trail for what people with disabilities could achieve in society. In 1904, Keller graduated from Radcliffe College and thus became the first deafblind person to earn a Bachelor of Arts degree. Among her personal achievements was Keller’s ability to learn how to communicate in numerous forms. Keller learned how to speak, as well as how to “hear” by touching the lips of a speaker with her hands and interpreting their words. Keller learned how to read braille and could understand sign language by touching the signer’s hand. Keller was a great advocate for those with disabilities, as well as other causes. Keller was a world-renowned speaker and published 12 books along with several articles. As a member of the Socialist Party, Keller actively campaigned between 1909 and 1921. Women’s right to vote and the impact of war were both topics which Keller strongly supported through her many speeches and articles. In 1961 Keller suffered from a series of strokes therefore leading her to spend the later part of her life at home. Keller is also recognised for her fundraising efforts in support of the American Foundation for the Blind. In 1964, then US president: President Lyndon B. Johnson awarded Keller the Presidential Medal of Freedom and the following year Keller was elected to the National Women's Hall of Fame at the New York World's Fair. Keller died in her sleep on 1 June 1968, at her home. In 1849, British-born Elizabeth Blackwell graduated from Geneva Medical College, and became the first woman to receive a medical degree in the USA. Blackwell faced many hurdles as a medical student, including having to convince her professors to allow her to be present during classes on reproduction as the professor believed the topic to be too “unrefined” for a woman’s “delicate sensibilities” and subsequently requested Blackwell to exit the class. Blackwell also faced animosity from her male colleagues and was regularly turned away by male patients. Dr Blackwell pursued her postgraduate work in Paris, and later London. It was while working at La Maternité (a Parisian maternity hospital) that she contaminated her left eye while treating a baby with an infection of the eyes. Dr Blackwell lost sight in her left eye and was unable to become a surgeon. Upon her return to New York in 1850, Dr Blackwell began a private practice but received few patients. In 1853 Dr Blackwell established a dispensary for the urban poor which later grew with the help of her sister into the New York Infirmary for Women and Children in 1857. Dr Blackwell spent a lot of time traveling through Europe and was a great campaigner for social reform movements dedicated to women’s rights, family planning, hygiene, eugenics, medical education, etc. Between 1875 and 1875 Dr Blackwell helped found a medical school for women: the London School of Medicine for Women where she was a professor of gynaecology until 1907. Dr Blackwell passed away in 1910 from a paralytic stroke at her home in Hastings, East Sussex, England. Blind swimmer, Trischa Zorn has won 55 medals at the Paralympic Games thus making her the most decorated Paralympian of all time! A member of Team USA, Zorn competed in 7 Paralympic Games winning 41 gold, 9 silver and 5 bronze medals - a total of 55 medals. Zorn also broke 8 world records at the Games and in 2012 was inducted into the Paralympic Hall of Fame. Zorn was born in June 1964 with a congenital, genetic eye condition known as Aniridia which is the absence of the iris. At 10 years old, Zorn began swimming with sighted swimmers at a swim club in Southern California. Zorn made her Paralympic debut at the age of 16 at the 1980 Paralympic Games in the Netherlands where she won 7 gold medals and set 3 World Records. This was to be the start of Zorn’s monumental career in the swimming pool. During her sporting career, Zorn pursued her studies at the University of Nebraska-Lincoln where she graduated in 1987 with a B.S. in Education/Special Education. Zorn went on to complete a Master’s Degree in School Administration from Indiana University. For 10 years Zorn taught Science and Social Studies at the Indianapolis Public Schools. Zorn furthered her academic path by obtaining a law degree from Indiana University School of Law-Indianapolis in 2005. To date, Zorn is an attorney for an Insurance Company based in Indianapolis. Not one to leave her sporting passion behind, Zorn has continued to be involved with competitive swimming as a coach, is the Paralympic Summer Athlete Representative, and serves on the Leadership team for the US Olympic Committee Athlete Advisory Council. Zorn is also a member of both the Board of Directors for the United States Association for Blind Athletes and Board of Directors for the Cornea Research Foundation of America. In 2004, Zorn was the first person to receive artificial irises in both eyes for her eye condition. Sabriye Tenberken was born in West Germany and at the age of 12 became blind due to a retinal disease. Tenberken struggled to come to terms with her blindness and felt isolated. During an interview with O, The Oprah Magazine, Tenberken said: “Not until I accepted my blindness did I begin to live." Soon after her blindness set in, Tenberken enrolled into a boarding school for the blind where she learnt many skills - the most influential being self-reliance. Bonn University would be where Tenberken would go on to study Central Asian Studies & find her passion for the Tibetan language. However, Tenberken discovered that there were no Tibetan texts available in Braille, and so she created her own system for translating the Tibetan language into German & then Braille - the first of its kind in the world. Tenberken soon realised that the Tibetan people who were blind would benefit from her Braille system. Numerous attempts to dissuade Tenberken from visiting Tibet were cast aside when alone & at the age of 26, Tenberken visited China to study Chinese, and then proceeded to Tibet. Astonishingly, Tenberken learnt that 30,000 Tibetan people are blind (out of a population of 2.6 million people) - approximately double the global rate. Along with poor diet and unhygienic conditions, being at such a high altitude it is in fact the sun’s intense ultraviolet rays which is the main cause of blindness in Tibet. The Tibetan culture is especially prejudiced against people who are blind, believing that their blindness is a result of injustices they committed in their previous lifetime. Tenberken has been recognized for her work by illustrious institutions around the world. In 2004, Tenberken received Time Magazine’s Asian & European HERO Award. In 2005, Tenberken was nominated for the Nobel Peace Prize. In the same year, Tenberken was awarded the Bundesverdienstkreuz (the highest German order from the German president). Tenberken continued her success in 2005 by being identified as one of Oprah Winfrey’s Phenomenal Females, a show titled: 8 Women Oprah Wants You to Know. In 2016 Tenberken received the Gandhi Darshan International Award. Matilda (Tilly) Aston was born in Victoria, Australia in 1873. Visually impaired from birth, Aston became totally blind by the age of 7. Aston is recognised as one of the greatest women in twentieth century Australia, having spent most of her life serving others. Aston is known for her efforts to promote the human rights of visually impaired and blind people living in Australia. Successfully lobbying for the world's first free post system for braille (and later talking) books. Gaining free public transport for blind people. Achieving the right to vote for blind people. Lobbying for the repeal of the bounty system which meant blind people had to pay hefty levies before they could travel interstate. Gaining Government approval for a pension for all legally blind people. In 1882, Aston was enrolled at the Victorian Asylum and School for the Blind based in Melbourne where she completed her Matric at the age of 16. Aston became the first blind person in Australia to attend university when she was accepted to pursue an Arts Degree at the University of Melbourne. Aston was forced to end her studies in her second year as there was a general lack of textbooks available in Braille. Soon after, Aston began work as a music teacher and the plight of blind Australians became all the more apparent to her. The Victorian Association of Braille Writers (later known as the Victorian Braille Library) was brought to life by Aston and her friends in 1894. The following year, Aston established the Association for the Advancement of the Blind (now Vision Australia) with the purpose of championing the human rights of visually impaired and blind people in Australia. Thanks to the Association for the Advancement of the Blind, blind people were awarded the right to vote, were entitled to free postage of Braille material (Australia being the first country to do so), and concessions were put in place for transport. After completing her teaching training in 1913, Aston became the first blind woman to lead the Victorian Education Department's School for the Blind. Aston faced many criticisms from both staff and officials, forcing Aston to "sever her connexion with the blind societies she had helped to found". Aston retired in 1925 after suffering a stroke. Born in a small town in East Cork, Ireland, Sinéad Kane has had to face many challenges in her life. With only 5% vision, Kane is registered as being legally blind. Throughout her childhood, Kane was subjected to bullying and discrimination due to her disability. Kane was discouraged from participating in sport and furthering her education beyond high school. Despite these harsh setbacks, when we look at Kane’s achievements to date she is certainly an incredible woman and role model having cast her name in the history books in Ireland and worldwide. Kane focused on her studies at the age of 17, determined to be accepted into university to study law. In 2004, Kane graduated from the University College Cork with a law degree, and the following year with a Masters. Not long after, Kane became Ireland’s first solicitor who is legally blind. As an anti-bullying activist Kane founded The Kane Ability (website here: http://sineadkane.ie/), a platform that provides tips and advice on how adversity and resilience can stimulate growth and potential. Now Kane is a PhD student in the School of Education Studies’ Anti-Bullying Centre at Dublin City University. In January 2017 Kane made world history by becoming the first visually impaired person to complete the World Marathon Challenge - “a logistical and physical challenge to run seven marathons on seven continents in seven days.” Yet Kane’s journey as an athlete only began 5 years ago when she ran a 10km to raise money for blind children. Kane says: “running has boosted my self-confidence more than I could have ever imagined.” In 2015, Kane became the first Irish person with a visually impairment to complete an ultramarathon in Ireland. The 2017 World Marathon Challenge started in Antarctica on January 23, and went on to Chile on January 24, Miami on January 25, Madrid on January 26, Marrakesh on January 27, Dubai on January 28 and finished in Sydney on January 29. Kane ran with John O’Regan, her guide runner, and together they completed their final marathon in Sydney in a time of 4:42:59. Kane notes that the reason why she took on the Challenge was to change the way people perceive disability. Sinéad Kane is now included in the Guinness World Record book as being the first visually impaired runner to successfully complete 7 marathons over 7 continents in 7 days. Haben Girma is a woman who’s no stranger to hard work. Very, very few people around the world can say they have a degree from Harvard Law School. Having graduated with the class of 2013, Girma practiced as an attorney at Disability Rights Advocates up until April 2016. Today, Girma’s focus is on education-based advocacy. You’ll find Girma presenting accessibility training, civil rights workshops, diversity consulting, and public speaking services to interested organizations. Like other young women her age, Girma enjoys salsa dancing, surfing and traveling. Girma makes use of a variety of tools during her day to day life. A refreshable Braille device is a piece of technology Girma uses to understand what is being said to her. Maxine, a highly trained German Shepherd, is Girma’s pair of eyes. Why does Girma use these tools in particular? Girma is both deaf and blind. It was at school that Girma learnt the importance of civil rights. Girma realised that if she did not execute her rights and ensure that the school enforced its obligation to implement acts of reasonable accommodation, no progress would be made and other students with disabilities ensuing her would face the same challenges. After high school, Girma went on to study at Harvard Law School where she became the first deafblind person to graduate with a law degree from the prestigious school. Haben also has a Bachelor of Arts degree in Sociology/Anthropology from Lewis & Clark College. Girma is recognised around the world for the work she’s doing on advocating for disability rights, reasonable accommodation, and the need for accessible technology. Girma’s list of accolades is ever-growing. Most notably, Girma was selected as the White House Champion of Change, named in the Forbes 30 under 30, and is the BBC Women of Africa Hero. The BeSpecular team is especially proud of Girma’s presentation at the Apple Worldwide Developers’ Conference in 2016 (link to video: https://habengirma.com/2016/06/28/disability-innovation-the-universal-benefits-of-accessible-design-by-haben-girma-apple-wwdc-2016/ link to plain text transcript: https://habengirma.com/transcripts/wwdc_2016.txt). We wish Haben all the best on her journey and hope to oneday say Thank You in person. The first golf club I ever held was at the age of 8. It seemed like an impossible task to ever be able to hit the ball as high and as far as all the older guys. Equipped with a sawn off 8 iron and a pink grip, my obsession began for chasing this tiny white ball around some of the most scenic places around the world.